The Battle for the Governor’s Cup is this Saturday, November 24th at 7:00 pm EST at Cardinal Stadium in Louisville, KY. Kentucky will enter the game as the heavy favorite to take back the Cup and cap off a 9-3 regular season. The Louisville Cardinals are coming off their 9th loss of the season and their 6th loss while giving up over 50 points (including four in a row). Kentucky will look to capitalize on one of the worst Power Five teams in the country and come away with a big victory. Louisville started the season with the impossible task, playing Alabama. It might as well have been over before it started. The Tide rolled 51-14. The Cards bounced back with two straight wins against FCS Indiana State (31-7) and Western Kentucky University (20-17), before dropping their next eight conference games by an average of 29.6 points-per-game. The season took a turn for the worse when they hosted Florida State and held a 24-21 lead with just over a minute to go in the game. Louisville simply could have run out the clock on the ground but decided to throw a pass. The pass was intercepted, and FSU stormed down the field and scored. FSU won, 28-24. It was likely at that point where Bobby Petrino lost the team, and ultimately, his job. Since then, Louisville has been outscored 343 to 135 over their last six games. Louisville’s defense has been the biggest issue this season. They currently rank 115th out of 130 schools in total defense. They give up an average of 473 total yards per game, 201 through the air and 272 on the ground while giving up 43 points per game. Louisville has shown they have the ability to score from time to time, but they have yet to prove they can stop anyone else from scoring on them. Lack of quarterback consistency has been a huge issue for Louisville as well. Jawon Pass was deemed the Second Coming of Lamar before the season began and he has failed to live up to that hype. Pass has played in every game this season, but only completed 54% of his passes, been sacked 30 times, and only thrown 8 touchdowns compared to 12 interceptions. Pass has only had two games all season where he has not thrown a pick. Malik Cunningham has also seen his fair share of time at QB but is used as more of a runner than a thrower. Cunningham has only attempted 59 passes this year, completing 35 of them for 409 yards, 1 touchdown, and 1 interception. Louisville has struggled to find the end zone all year. They only score 20.3 points per game and have only been able to average 133.8 yards on the ground per game. Their passing attack has been decent, but nothing special, and their ground attack has been horrific. 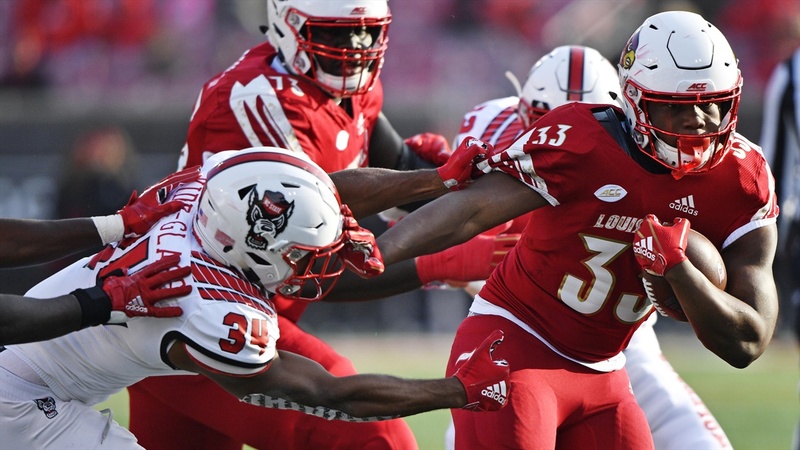 Cunningham is their leading rusher and, unlike Lamar Jackson, he is not making a big impact. To dominate this game, Kentucky will want to get back to the ground and pound style they played with early in the season. Benny Snell needs 25+ carries in this one to wear down the already thin Louisville defense, and the defense will want to apply as much pressure as possible. Benny Snell is 207 yards away from passing Sonny Collins for the UK record, and he may just get that by halftime of this one. Patrick Loney: Kentucky’s offense plays physical throughout the game. Terry Wilson creates some plays with his legs and arm while Benny Snell inches closer to breaking Sonny Collins all-time rushing record. Chad Pruitt: Kentucky (23.9) and Louisville (20.6) are both outside the top 100 in scoring, but defense has been another story. While UK is tied with Georgia for 12th in the country giving up only 16.8 per contest, a slew of teams have carved up the Cards who hold the 3rd worst scoring defense in the country at 43 points per game. Louisville has lost 8 straight, giving up AN AVERAGE of over 57 points in the last 6, fired Booby, etc. – the wheels are off. The only question is how close will Benny Snell get to the 207 rushing yards needed to pass Sonny Collins to become the Cats’ all-time leader. Jordan Hoehler: Mark Stoops and Kentucky have waited a long time for an opportunity like this. Louisville is at their worst and Kentucky is at their best, and I fully expect the Cats to pile it on. Stoops might let up a little in the second half since Bobby P isn’t on the sideline anymore, but I fully expect this one to be a blowout. The Cards might have the least amount of talent of any opponent, minus Murray State, the Cats will play this season. Benny Snell ran for 211 on the Cards last season and will likely surpass the century mark in the first half of this one. The Cats roll to a 9-3 regular season record. Darren Durham: Kentucky is playing for 9 wins, Louisville is playing just to stay at 9 losses. That should tell you everything you need to know about this game. But this is a rivalry and the hate is real on both sides. I think Kentucky is able to control the game after an early push by UL and cruise to a win.